When spring arrives in Japan, so does the highly anticipated bloom of the beautiful cherry blossoms. An iconic symbol, you cannot have researched a holiday to Japan without seeing an image of its landscapes washed in delicate, pink blossoms. What’s more, after the success of our 2017 cherry blossom tour dates, we’re happy to announce that we have released exclusive discounts of our to £500pp for our 2018 dates, so you can see Japan’s cherry blossoms for yourself! What are Japan’s Cherry Blossoms? This seasonal event celebrates the emergence of spring through the appearance of the pink blossoms on cherry trees throughout Japan. 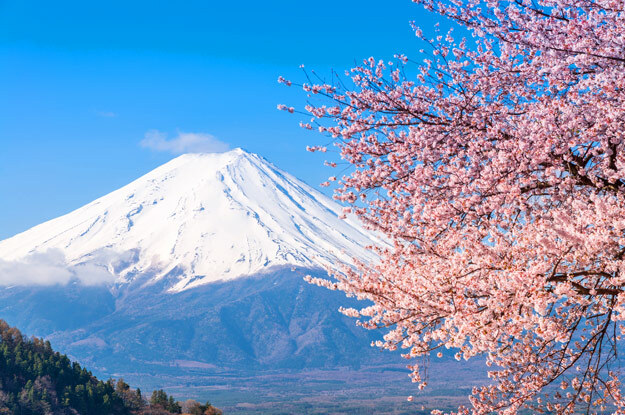 Highly revered by the Japanese, the Japanese Meteorological Agency will carefully forecast when the blossom will appear in the different areas of the country. This allows for both locals and tourists alike to plan their family get-together or holidays, as the trees are only in bloom for a few weeks a year. The ‘cherry blossom front’ is followed from Okinawa in the south to Hokkaido in the north with great trepidation. The festival stems from 1,200 years ago where the appearance of the blossoms signified the start of the rice-planting season. As time passed, its popularity grew alongside the philosophical beliefs of the Japanese, where appreciation of nature and the natural order is rife. 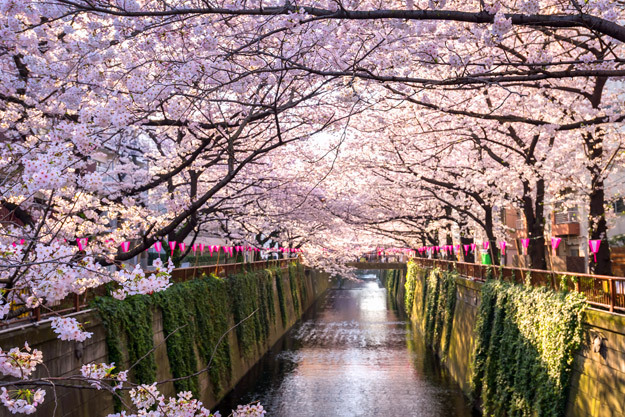 Today, the few weeks where the cherry blossoms bloom are the most popular time to visit Japan. 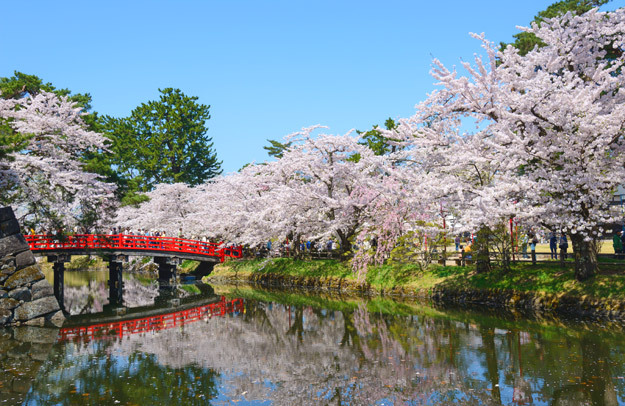 Known locally as ‘Hanami’ – or ‘flower viewing’ – this traditional custom involves celebrating with friends and family on a picnic blanket below the cherry trees. Wherever there are cherry blossoms there will be Hanami parties, where the Japanese will feast on bento boxes, traditional dumplings and sake. Shops fill their shelves with pink themed goods – have you ever heard of a cherry blossom Kit-Kat? – and companies hold Hanami parties of their own. There’s a huge sense of celebration in the air, allowing any tourist to delve deeply into a unique part of the culture of Japan. It’s also a great time to capture the beauty of this country in a photo. See the Cherry Blossoms for yourself! Now’s your chance to witness this Japanese phenomena for yourself! 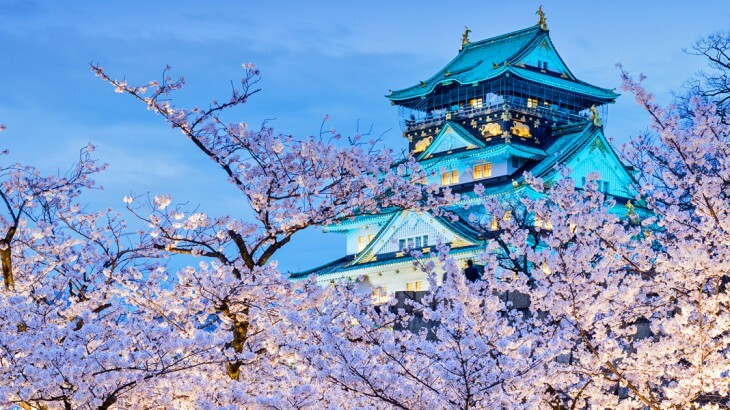 We at Wendy Wu Tours have just released exclusive discounts for spring 2018 on our popular Discover Japan and Jewels of Japan tours. Book today! Alternatively, if you’re busy in the spring, visiting Japan in the autumn to witness its leaves change from green to gold is another popular sight to behold. Book a guided tour of Japan with Wendy Wu Tours, the UK’s leading Asia Experts. Our award winning, fully inclusive tours visit all the major sights of Japan for an unforgettable holiday. Japan nature, photography, sightseeing, top things to see, views. permalink.